R&D problem solving (using literature surveys and primary research). 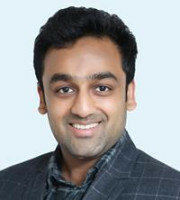 Based on the above services and an enhanced focus on combining market research with literature surveys, Mr Bansal has also furthered his engagement with IP group leaders at multiple companies (which no longer required regular patent landscapes) to enable them to become a driving force for business decisions, rather than just a service provider to their corporations. Syndicated handbooks that provide one-stop access to all global inventions, major disruptions, upcoming trends and expert recommendations, among other things. In 2017 Sagacious launched 10 similar handbooks (eg, 3D printing, Perovskite Solar Cells, CRISPR-CAS9, CAR T-Cells). execution (eg, products on the market, revenue, staying power and collaborations). Under Mr Bansal’s leadership, Sagacious is expanding rapidly with over 240 employees across the United States, India, China and now Japan. Mr Bansal has been recognised by CNBC Young Turks and Red Herring Asia 100, and Sagacious has been recognised as a great place to work.